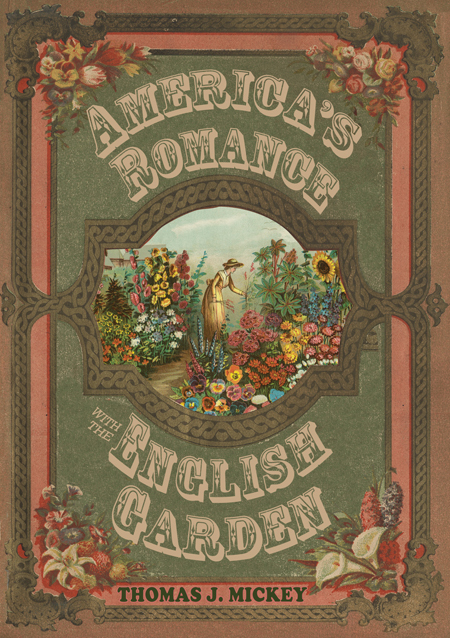 Join the Seaside Gardeners of Squantum as they host master gardener and communications professor Thomas Mickey who will share the story of how nineteenth century American seed and nursery catalogs sold us the English garden. 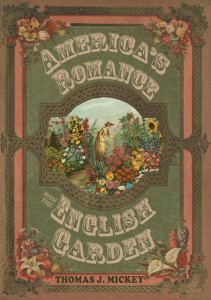 Wednesday, October 9, 2013, 7:00 p.m.
Join us for an author lecture about the story of the beginnings of the garden industry, which seduced the masses with its images and fixed the English garden in the minds of striving Americans. The 1890s saw a revolution in advertising. Cheap paper, faster printing, rural delivery, and railroad shipping combined to pave the way for the first modern catalogs. The most prominent of these, reaching American households by the thousands, were seed and nursery catalogs with beautiful pictures of middle-class homes surrounded by sprawling lawns and the latest garden accessories — in other words, the quintessential English-style garden. Something to think about as you tend to those lawns! Thomas J. Mickey is Professor Emeritus of Communication Studies at Bridgewater State University, Bridgewater, Massachusetts. He is a graduate of Boston University, the University of Iowa, and the Landscape Institute at the Boston Architectural College, and has been a garden columnist for the Brockton Enterprise, Quincy Patriot Ledger, and Portsmouth, New Hampshire’s Seacoast Media. Visit his blog, American Gardening.